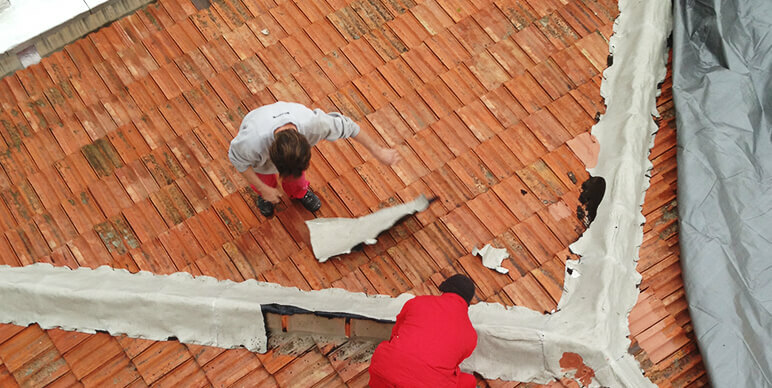 Our core business is renovating and reconditioning roofs. 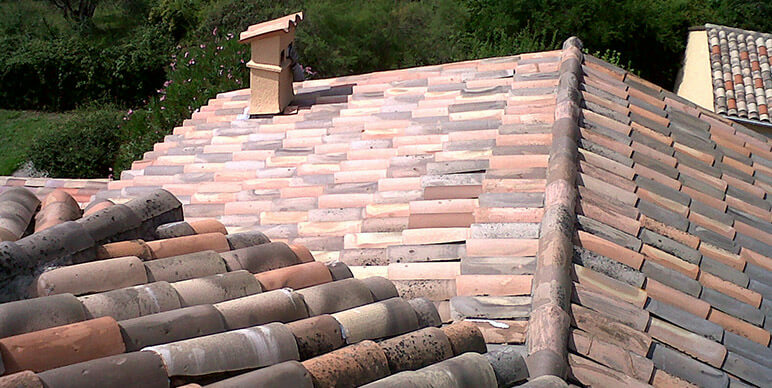 ROOFING IS PAMTHER’S CORE BUSINESS. 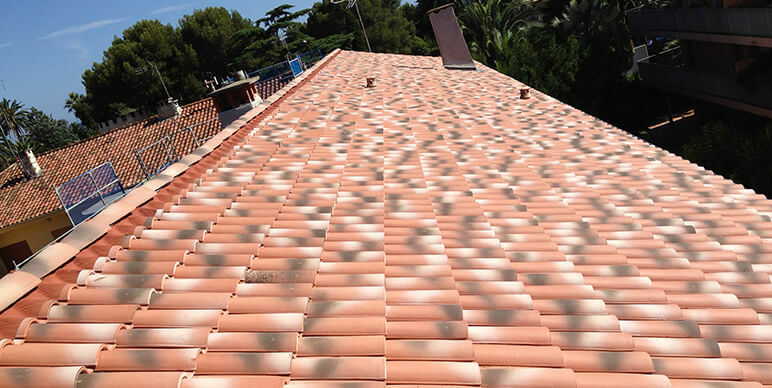 Since it was founded in 1997, the company has constantly increased and developed its specialisation in this trade. 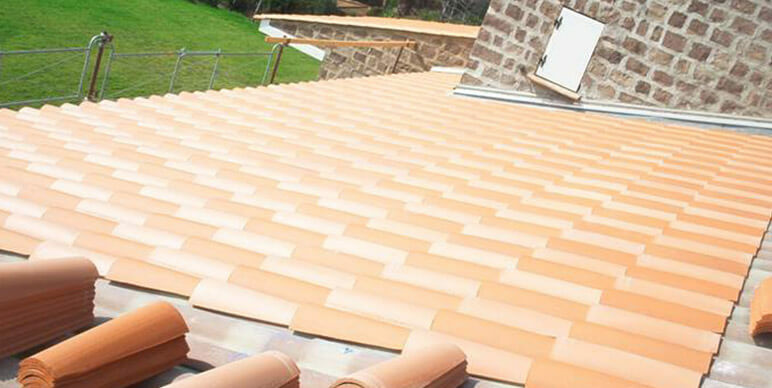 Over the years, PAMTHER has built up a huge experience in the roofing trade, leading it to obtain many different QUALIBAT qualifications in the field of roofing renovation. 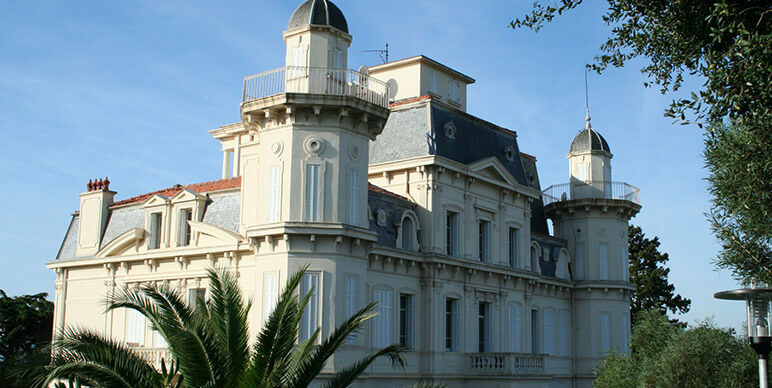 The latest qualification awarded to the company in this trade was for historical monuments, validating our expertise in highly detailed, technical work. 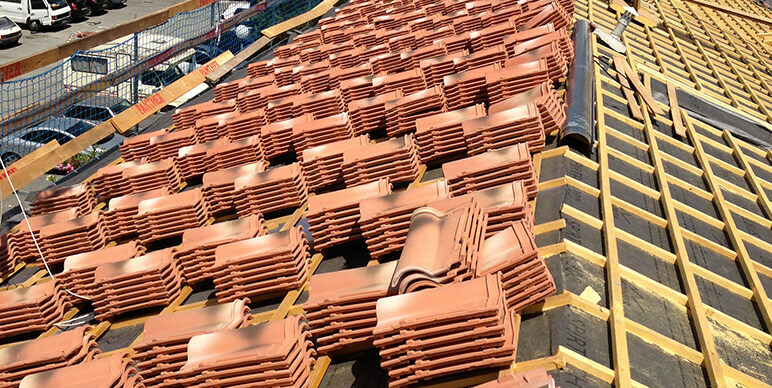 Terracotta roof tiles: Flat tiles, Marseille tiles, Canal tiles, Romane tiles, etc. Zinc and copper roofs, standing seams, roll caps. 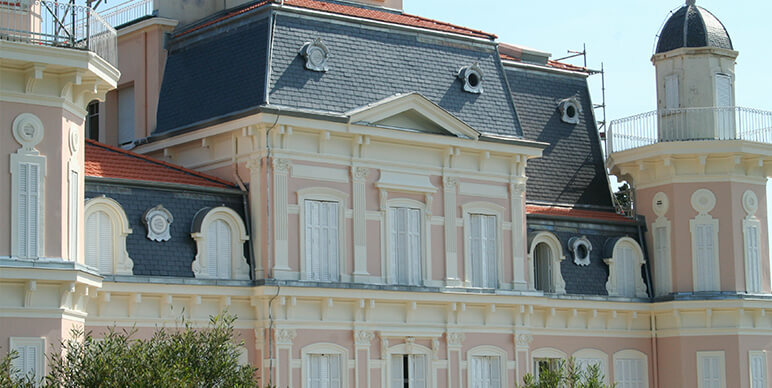 Metal roofing panels under the tiles for houses or PO5, for commercial buildings, warehouses. – Vapour barrier films Highly Effective against Vapour, providing an additional protection under the roof. 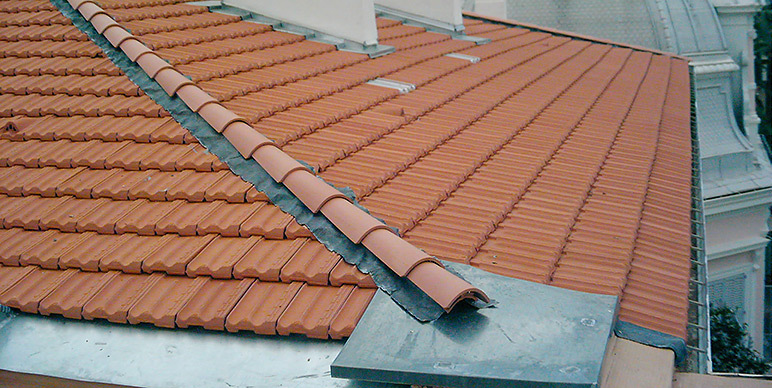 – Sealed Ridges, for better ventilation, as opposed to ridges built entirely with mortar. 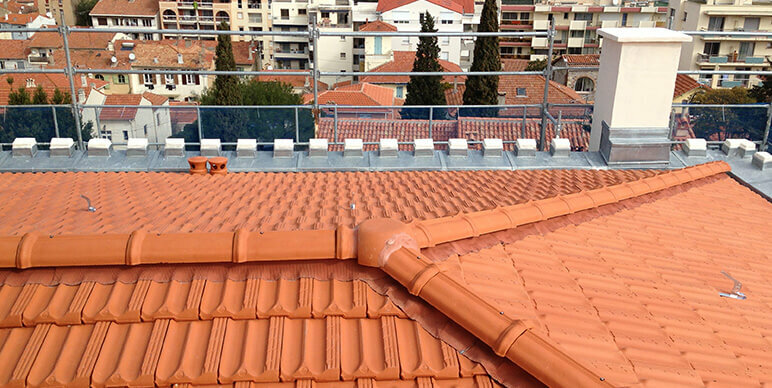 This installation system also makes it possible to change broken tiles quickly at the top of the roof, without having to break all the mortar. 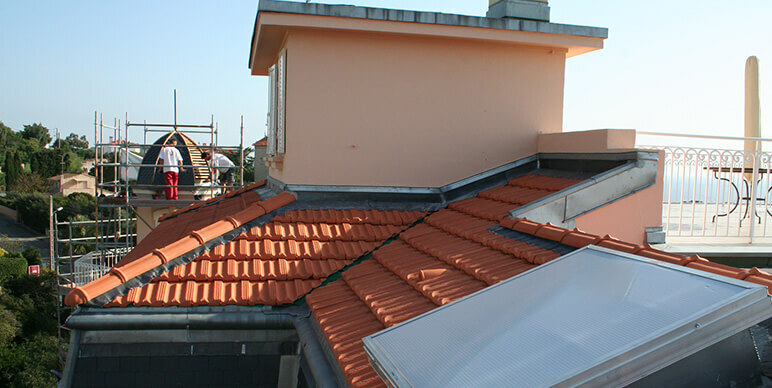 – Ventilation tiles to provide proper ventilation under roof and/or the attic. 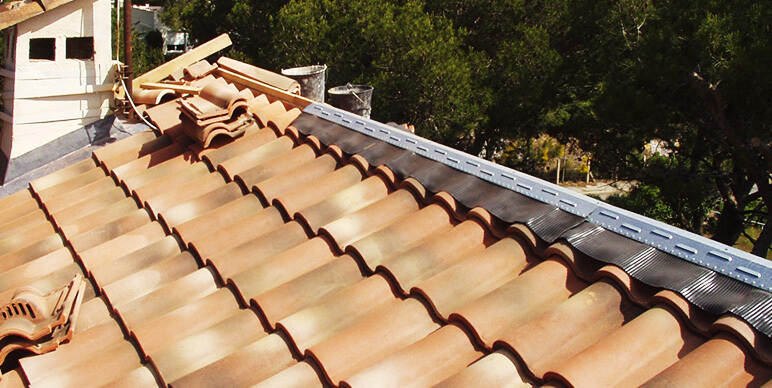 – Decorative elements such as ornamental ridge tiles, finishing tiles, etc. This is not an exhaustive list, but gives you an idea of the most frequently used accessories. Always focussed on customer satisfaction, PAMTHER has set up processes to provide a structured and organised approach to building projects. Thanks to this organisation, building projects are completed on time, in total safety. On the home page you will find further information on these points. 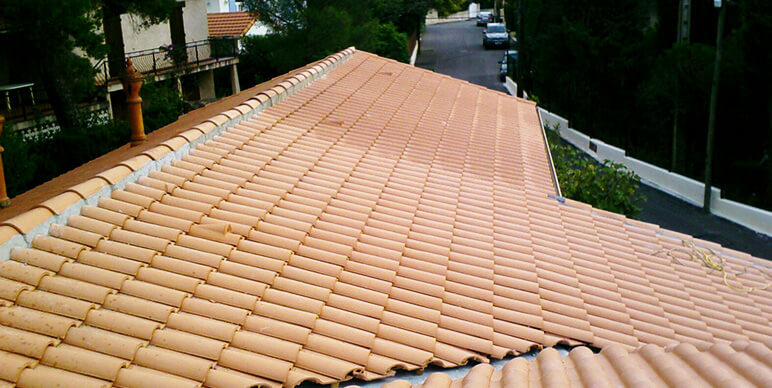 Below, we have provided a wide selection of our different types of roofing projects. 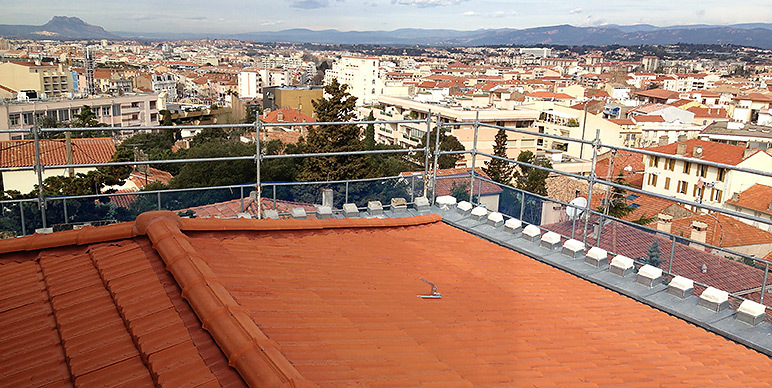 Naturally we can provide you with information or an assessment related to your specific project.